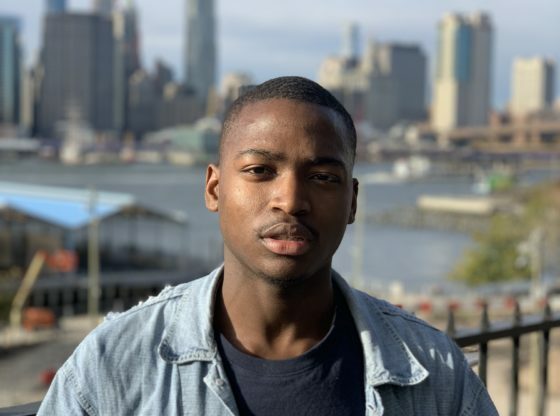 Meet Bathusi Tirelo, an international student from the African nation of Botswana who started his first semester of college here at St. Francis in the fall of 2018. Wiping the sweat off his face in the middle of a pick-up basketball game on a sunny day in Botswana, Bathusi Tirelo checks the ball in. A wild pass flies over his head and into the air while Tirelo is on defense. He leaps and catches to grab the ball before any one else can. He speed dribbles down the court on a one-man fast-break, all alone with no one around him, and dunks the ball. His teammates scream in exhilaration, hyping him up as he runs back down the court. But keeping his composure, Tirelo just shrugs it off and get’s back on defense. It wasn’t necessarily me wanting to come here for academics; I actually wanted to come here to play college basketball in the United States. But obviously, like everyone else, I had to have a back up plan when coming here for college. Meaning, if I don’t make a College Basketball team in the States, I must pursue my degree for accounting. For anyone who doesn’t know where Botswana is, where is it located geographically on a map of Africa. Botswana bordered by Namibia to the west and north (the Caprivi Strip), Zambia and Zimbabwe to the northeast, along with being bordered by South Africa to the southeast and south. So, you like Basketball. How big is Basketball in Botswana, and how often do you play the sport back home? I actually played club Basketball in Botswana before I came here. I was apart of an organization called the BBA, which stands for the Botswana Basketball Association. I enjoy being apart of the organization because there is a lot of competition. The league itself though is called the Botswana Basketball League. How long have you been playing Club Basketball in Botswana for? I’ve been playing club Basketball in Botswana since 2014. The league recruited me and placed me on a team called the Botswana Defense Force. Then, I was transferred to a team called the Tlokweng, Dolphins. We were pretty good. We were the number one team in the BBA when I was back home. Now lets transition into where we are now. You’re at St. Francis College, but you are not on their Basketball team as we speak. Where do you go to work on your game to prepare for a potential tryout with? I’m always playing basketball at the school gym up on the 4th floor. I usualyy get into some good pick-up games. Alot of guys ball there, and the competition is pretty fair. Have you made any friends while playing Basketball up on the 4th floor of the school gym? Oh yeah! I’ve made some friends over there. Whenever I walk into the gym, people know me. I love that feeling. I havn’t made a whole lot of freinds up there — but I’ve made a good amount. When you play Basketball with the same people regularly, you start getting to know them. How have you adjusted to the social life here at St. Francis College? I don’t talk to a whole lot of people, but I’ve made a good amount of friends here so far. I actually know more people at my dormitory hall then at St. Francis College itself. But you could say I’m slowly getting adjuested to the social life here at St. Francis College. Being at a school right in the action of New York City, why did you choose this school specifically? I wanted to be in New York City, man! It’s like one of the greatest cities in America. Choosing this school was a great decision for me I felt for the potential oppurtunites that I could get. Back home in Botswana, when you here about America — you always here about New York City. It’s New York! Being a student living in New York City, have you explored the area yet, and if so, where have you been to? I’ve been to the Bronx, Downtown Brooklyn, and all over Manhattan. I’m looking forward to exploring more, though. When I’m free on the weekends, I plan on exploring more. What’s a hobby that you’ve picked up since you’ve came here to America? I recently just started watching more American movies. I’ve watched so movies I cant even count. My favorite movies so far are John Wick and the Equalizer starring Denzel Washington. I could watch those movies over and over. What have you noticed from the people here in America that you wouldn’t see back home in Botswana? There are so many cultures in one here. It’s amazing! We do have people of other cultures here in Botswana, but it’s not like here in the U.S. The different cultures grouped together in one city here in New York is something that you wouldn’t find back home in my country. What is the funniest question that someone has asked you pertaining to the Republic of Botswana? The funniest question that anyone has asked me so far probably would have to be a person asking me if the people and animals of Botswana live with each other. The person who asked me that question asked if animals, such as lions and other wild animals, roam around passing us as if they pay us no mind. I thought that was really funny. So have you ever actually encountered any of the wild life back home? Such as animals that you would’t find here in America? I remember one time when my team bus was traveling to Zambia, the bus had ran over two Hyenas. There were huge! Even the bus had gotten damaged a little bit too. It was crazy! I’ve also seen a lion while traveling in Botswana. We have a lot of those in Botswana. What are your future plans, and or goals, for this semseter? I just really want the opportunity to play college basketball in the States. But if that doesn’t work out as planned — I want to go far with my major in earning my first college degree in being out here in the United States.. If you had any advice for someone looking to be an international student here in the U.S., what advice would you give them. When you come here as an international student your obviously going to have to deal with pressure. It’s a normal feeling that an international student might feel when they first get adjusted to the culture out here. Your bound to meet people that are going to test your confidence level. There’s going to be people that are going to challenge you in any way, shape, or form. But if you just stay focused and confident in all that you do, all will be well. Confidence is the key!